Bachelor of Homoeopathic Medicine and Surgery is a Homoeopathic Medical course. Homoeopathy is a holistic system of medicine which is based on treating the individual with highly diluted substances given in mainly tablet form, which triggers the body's natural system of healing. The duration of B.H.M.S. is 5 1/2 years which includes internship. Bachelor of Homoeopathic Medicine and Surgery degree as a holistic alternative medicine degree provides basic and in depth knowledge of the Homoeopathic medicinal system. As the healthcare industry is facing many challenges in its path to manage the various health hazardous conditions, a rapid shift is witnessed toward holistic medicine i.e. 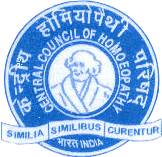 Homoeopathy. This enhances the need for a centre of ultimate Homoeopathic education aiming at highest standards of learning. The exclusive Homoeopathy University fulfils this purpose and is a pioneering institute not only in India but in the world in the domain of Homoeopathic education and practice. The institute campus houses amphitheater style lecture rooms with audio-visual facilities. All the labs and museums are well equipped and technically contemporary to perform practicals. Admission is through entrance examination.